Even if your students don’t identify themselves as leaders, everyone has the potential to lead. If you’re engaged in liberating the leadership potential in today’s young people—we welcome you to explore The Student Leadership Challenge®. From student-centered books and the 360-degree Student Leadership Practices Inventory to professional development workshops for student leadership educators like you, you’ll find tools and resources designed specifically to help you inspire, encourage, and develop the next generation of leaders. 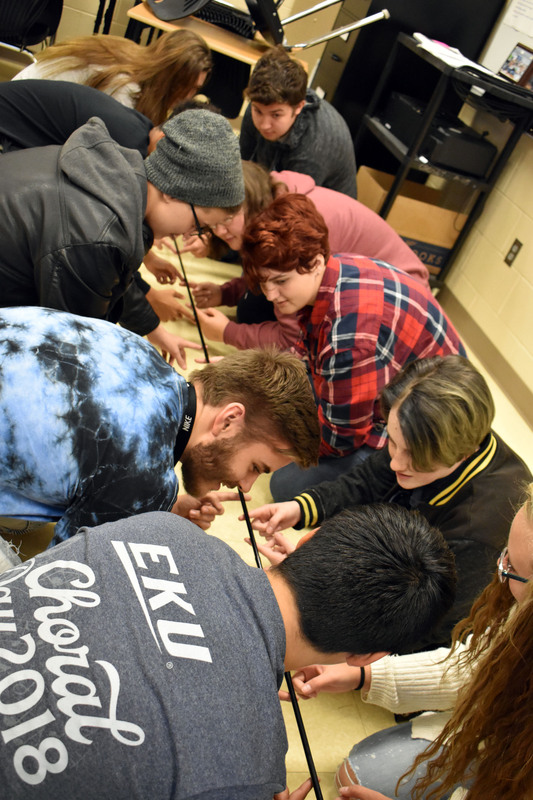 Photos: Students from George Rogers Clark High School (Clark County) and Ben Johnson Elementary School (Breckinridge County) participating in team leadership activities. For resources or more information about The Student Leadership Challenge®, contact Rhonda Caldwell, CAE , Ed.D., rhonda@kasa.org, Wes Cornett, wes@kasa.org, or Lisa Ducker, lisa@kasa.org or call (800) 928-KASA.